“Welcome to the club!” This greeting, typically extended to new members, often implies certain advantages, discounts and perks. However, the club my husband and I unwittingly have joined is based on an experience I would not wish on my worst enemy. We received “the phone call” — the one every parent dreads in their wildest nightmares — at 2:30 in the morning in mid-February. It was the police station calling to tell us that our son had overdosed. He was alive, barely, but they had found him just in time. A tumult of thoughts raced through my mind. Our son lives 2,600 miles away. Could it be a mistake? Were they sure it was our son? He wasn’t supposed to be in that city. What is happening? As I write this, I know similar words must have been said or written a million times over by so many other heartbroken parents. In truth, there is nothing new to read here. Yet, it is my son I am writing about, my “kid” (now in his 30s). It is my same son whom I desperately worried may not live when I went into labor at six months gestation. It is my child whom the OB-GYN gave only a 10 percent chance to make it. It is my child who did make it, who went on to do great in school, who had tons of friends, who graduated from college, who got married and had a wonderful job. It is my kid who loved cutting down Christmas trees when he was little, swam like a fish and played soccer until his feet ached. It is my child who loved our annual summer trips all across the country to see major attractions and visit dozens of national parks. And it is my son whom the police were now telling us had almost died of an opioid overdose. I write this story partly for the cathartic release it provides. Our family has cried more tears over the past few months than we could have previously imagined possible. Perhaps more important though is this: The ultimate irony of this situation is that I am a licensed mental health counselor, a licensed addiction counselor and a master addiction counselor. 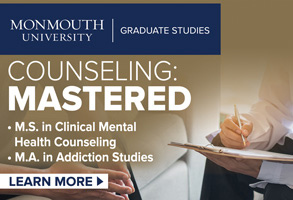 I am an assistant professor of counselor education and teach courses in addiction and treatment. I “know” so very much — maybe even too much on paper — about this disease of addiction, while simultaneously finding that I know so very little. A few hours later, we raced to the airport, my husband catching the first available flight to the East Coast. We decided that once my husband got more information, I would fly out. Unfortunately, his plane was delayed, he missed his connecting flight and he ended up arriving after midnight. With no “new” news about our son, the hours ticked by excruciatingly slow. The next morning, my husband went to see our son in jail — the words still seem incredulously stark written here. They brought our son out in a wheelchair. He was retching violently, trembling uncontrollably and could barely speak. My dear, sweet, gentle husband wept because he thought our son, who was in full-blown detox, was going to die. My husband and son could talk with each other only through a television screen. After 10 minutes, they took our son away. I called the jail shortly thereafter and pleaded to find out what was happening. The response was that they weren’t allowed to tell me. Many hours later, I was routed to an “angel” sergeant who explained the jail’s “detox protocol” — they give the inmates Tylenol and a pill for nausea, but the inmates throw that up immediately. Our son was in sheer agony, and we had never felt so utterly helpless in our entire lives. We could not even get a message to him. The whole experience shook us to our cores, and we felt nearly incapacitated by immobilizing grief. My husband had his “one allotted visit” for the week, which was on Saturday, meaning that the next visit couldn’t be until Monday. We were distraught with worry about our son’s condition but weren’t allowed any additional information. We contacted an attorney in the area whom we had worked with previously years prior. Blessedly, he took on our son’s case but was likewise unable to find out anything over the weekend — and Monday was a holiday. Our agony continued, piercing our souls. Tuesday was the bond hearing. Our son had been charged with two felonies and two misdemeanors. Our attorney spoke on our behalf. Amazingly, our son was released from jail in our recognizance, as long as he agreed to go directly into treatment. The next several days were a blur-filled nightmare that involved navigating the quagmire of insurance situations. We found that because our son was “five days sober,” no detox unit would take him, reasoning that he was not in quite desperate enough straits at that point. No residential treatment center would take him; he didn’t qualify for Affordable Care Act insurance because he had lost his job. He couldn’t get on Medicaid because his physical address was listed a state away. We couldn’t get the best insurance money can purchase because he had a pre-existing condition. Our son was still in a very fragile state, with double vision, horrible stomach pains, crawling skin sensations, major sleep deprivation and continuous hot/cold sweats. He needed help — fast. With no other viable options, our attorney managed to get an emergency stipulation granting my husband permission to drive our son the 2,600 miles across country to where we live. Meanwhile, I had stayed at our home, spending countless hours investigating insurance options and trying to find a residential treatment center for our son. My husband drove as he never had in his life, making the trip in three and a half days. They arrived in the middle of the night, our son a mere shell of the vibrant, funny, creative, loving soul that he once was. We signed our son up for Medicaid in our state, which featured a 45-day backlog. We could request emergency consideration, with the possibility of them meeting us within 48 hours, but there was no guarantee. Our son would have to be assessed, and then there was the issue of actually finding him a bed at a residential treatment facility. I must have contacted at least 25 treatment centers; none would take Medicaid. So there our son languished. We watched him slipping away from us as he struggled with his new sobriety and no treatment. If our son had been suffering from any other “acceptable disease,” waiting to obtain treatment would have been deemed unconscionable and cruel. From my view, it is beyond words that we ask those who suffer to simply bear their pain and deal with it. I emboldened myself to share the situation with some trusted co-workers. The disease of addiction is still fraught with stigma, but I was so beyond that now, knowing that if we didn’t find something soon, the agony our son was experiencing would lead him to the streets. Human beings can withstand only so much pain. He was attending 12-step meetings as best he could but was so weak, it was hard for him to focus. He was more than ready for treatment and begged us to help him find something. He was simply too ill to do this on his own. Through the grace of a co-worker, I was able to contact a treatment center that a relative of hers had attended with great success. I called, and we made an appointment the next day. The center took only private insurance, but we had already explored every other possibility. There were no other viable alternatives. It caused us to ponder, what does a person do who has no access to health care? (And, thus, all the overdose headlines!) We brought our son in for an intake assessment, and three hours later, he was in detox treatment; the timetable was for 35 days. Our story is merely a reflection of the countless individuals now suffering from our nation’s opioid crisis. Tragically, a huge percentage of those addicted are not so lucky as our son has been to have survived. Our son has an unfathomable journey ahead of him to maintain his sobriety. The shattering statistics confirm that only about 10 percent of individuals who are addicted find treatment — perhaps half of them will remain sober. Our son’s addiction to opioids started as many others have. He had a back injury at work a few years ago, and his doctor prescribed OxyContin. Our son found some relief from the back pain but, more insidiously, found that it also helped with his longtime struggle with depression. Alas, he was a sitting duck. When the pills were gone, he tried to get more from the doctor, to no avail. He finally asked a friend, who led him to someone who had a few, and the rest is history. On the streets today, one pill of OxyContin can cost as much as $60; a bag of heroin costs $5. There is no mystery why so many turn to heroin — not to get high but rather to relieve the impossible, all-consuming withdrawal. My son told us he tried countless times to overcome “the beast” on his own. The longest he made it was two and a half days — two and a half days of wretched, skin-crawling, vomiting, horrible agony. And we wonder why so many people are addicted. We treat people like criminals just for self-medicating their pain. We seldom think of them as even being human anymore, deserving of immense care. My irrational side tells me to beat myself up. I have been blessed with all this incredible knowledge and insight as a counselor and still did not know what my son was going through? I have refused to do so, however, not only because I realize that now is not the time for recriminations, but because I fully comprehend that addiction is a baffling and cunning disease. It all makes sense now, of course — the endless need for money to pay for mysterious car breakdowns and vet bills for the dog, the many trips to see doctors for a once very healthy and fit young man, the horrible pain he was experiencing when his marriage fell apart. We wondered, of course, but were too far away to verify. We spoke frequently with our son but saw him briefly only three times over the past three years. Meanwhile, his addiction truly began to escalate. It does no good to wallow in self-pity. It is just as futile to assign blame and fault. Pain, hurt, anger, frustration, desperation, sorrow, fear — all of these, and so much more, are ongoing and understandable. However, the one thing this disease cannot take from us is hope. The rational side of my being knows about evidence-based treatments, what has the best outcomes for success and what needs to happen. In that sense, it has made things much easier for our family to endure because all of what is unraveling is in the range of “normal,” and that brings great solace. 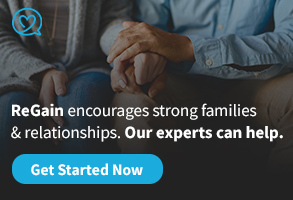 Our family is attending family counseling, going to Al-Anon meetings, reaching out to trusted friends and relatives, and realizing that we are so incredibly not alone. Still, it amazes me that if we were to tell a friend that our son has cancer, heart disease or even HIV, the response would be more understanding, more forgiving, more helpful. We have come light years in the field of addictions during the past two decades (I know — I teach this stuff! ), yet we remain in the Stone Age as far as acceptance, understanding, scorn, victimization, blame and judgment go. My hope is that readers will find some comfort in this writing (counselors are human beings first, with real-life crises of their own). I have found that addiction is an immensely alienating and isolating disease. So many people believe it will not happen to them or their loved ones because, after all, the person does decide on their own to pick up that first drink or drug, right? However, no one ever sets out in life to become an addict of any kind. The point is, we are all slaves to our prefrontal cortexes, and once we find something that works for us, we make those lovely endorphins, the “intermittent positive reward” phenomenon takes hold, and we get positively rewarded for repeating that behavior. We are masters at conning ourselves into believing that the consequences of whatever we rely on continue to be far less than the rewards. And slowly, insidiously, the disease of addiction takes on a life of its own for far too many. We know the physiology behind addiction. Those of us in the field screamed our warnings regarding OxyContin when it was first introduced in the late nineties. It didn’t require a huge knowledge of biochemistry to recognize the effects; its victims were immediately seen and affected so devastatingly. Addiction professionals continue to scream from the highest pinnacles about the high potentiation for addiction from these drugs; we portended this epidemic well over a decade ago. And yet, here we are, still screaming of the dangers even as countless individuals are prescribed these drugs daily. In 2017, the Centers for Disease Control and Prevention estimated that more than 115 people die every day due to opioid overdoses. I am not blaming the pharmaceutical companies (though perhaps I should?) or the physicians. Their ultimate goal (one hopes) is to adhere to the Hippocratic oath, to do no harm and to relieve human suffering. However, I believe that we have reached a tipping point, as Malcom Gladwell described in his book of the same name. Our nation is realizing that this crisis affects our mothers, our fathers, our sisters, our brothers, our daughters, our sons, our relatives, our friends, our co-workers, our ministers, our doctors … and ourselves. The #MeToo movement has shown us the time for action is now. The #TimesUp movement is doing the same. The #NeverAgain movement is gaining immense momentum. It is time for our passions, our sensibilities and our combined courage to demand more research and increased access to treatment. It is time to get over our fear, ignorance and blame regarding addiction. And we need, once and for all, to acknowledge that the disease of addiction is happening at lightning speed all around us, with no letup in sight. There is no time to waste on blame or recriminations; we need to act. Addiction can take hold of any of us, regardless of our training, our background, our socioeconomic status or our rationale. It happened to my son, despite all of the knowledge I possess as a counselor. My fervent belief is that with understanding and proper intervention and treatment, we can more readily help those who are afflicted. More importantly, I believe we need to get at the real root of why people need to self-medicate in such powerful ways. We knew our son had problems with depression. He attended a few counseling sessions over the years, but there was no incentive to stay, and even taking the step of seeing a counselor came with perceived stigma. We all have the power to change the paradigms around this. As of this writing, our son is more than 60 days clean and counting. He has completed his residential treatment and is living with us, taking it one day at a time and trying to deal with life on life’s terms. The neglect of his overall health has taken a huge toll, but together, we are trying to slowly repair its ill effects. This will definitely take time, but the joy is that now we do have that precious commodity. My message to all my dear counselor colleagues is this: This disease affects all of us. The palpable pain of our nation is excruciating, and we are all awash in its collective anguish. As a nation, we must reach out, not suffer alone. We need to find hope, discover solace and all begin to heal. We also must find the profound courage to act and change our national discourse and paradigms on how we view and treat people who are self-medicating in hopes of finding relief from traumatic pain. As counselor change agents, we can do this! There can be no higher calling. #EndOpiods. Antoinette D’Angelo is the pseudonym for an assistant professor of counselor education teaching in a university in the western U.S. She is a licensed mental health counselor, national certified counselor, master addiction counselor and licensed addiction counselor. She has worked in the human services/counseling profession for over 44 years. Her research interests include substance abuse and trauma treatment; crisis and disaster counseling; counselor wellness and alternative holistic treatment methods; and immigration, DACA, and refugee assimilation and reform. During a single afternoon this past August, 26 people overdosed on opioids in Huntington, a small city in West Virginia with a population of approximately 50,000. Bolstered by naloxone — an opioid antidote that often can revive overdose victims who have stopped breathing — and too much practice in overdose scenarios, police and paramedics were able to save all 26 people. However, the danger of overdosing is so great — and so common — that many of those 26 individuals are likely to overdose again, some fatally. Scenes of opioid overdoses are playing out again and again in cities, towns and rural areas across the United States. So many Americans are in thrall to opioids — which encompass both prescription pain relievers and the illegal drug heroin — that the Centers for Disease Control and Prevention (CDC) has declared opioid abuse an epidemic. According to the CDC, in 2015 (the latest year data were collected) more than 33,000 Americans died from opioid overdoses, a number that is quadruple the rate of deaths in 1999. In fact, from 2000 to 2015, more than half a million deaths were attributed to opioid overdose. West Virginia, New Hampshire, Kentucky, Ohio and Rhode Island are the states with the highest rates of opioid deaths, but no state, no socioeconomic status and no racial or ethnic group can claim to remain untouched by the opioid epidemic. 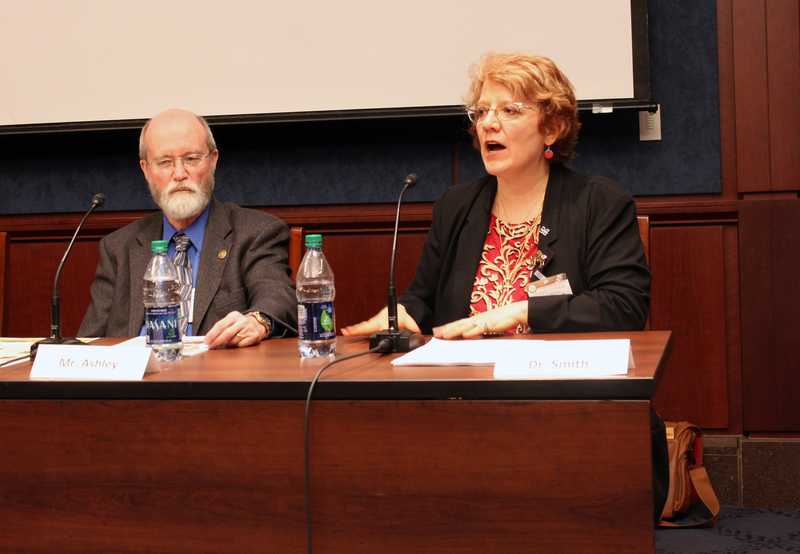 “We’re in danger of losing a generation,” asserted Carol Smith at an April congressional briefing on Capitol Hill sponsored by the American Counseling Association to raise awareness about the opioid epidemic and the role professional counselors can play in stemming the tide. Smith, a member of ACA and a past president of the West Virginia Counseling Association, is a counseling professor and the coordinator of the violence, loss and trauma certificate of studies at Marshall University — which happens to be located in Huntington. The CDC numbers show that the opioid epidemic has been gathering steam for a long time. Public awareness of the epidemic has grown gradually with media reports of more fatal overdoses, including the startling 2016 death of music legend Prince by overdose from nonprescribed fentanyl. More than a year later, the full story is not yet known, but the singer and musician had reportedly been taking prescription opioids for chronic pain for many years, which put him at risk for developing an addiction. In fact, for many of the people who become addicted to opioids, this is how it begins — with a prescription for painkillers. According to the CDC, prescriptions for opioids in the U.S. have quadrupled since the year 2000, despite there being no corresponding overall increase in the amount of pain that Americans report. Experts say a combination of factors has driven the sharp rise in opioid prescriptions. In the late 1990s, in a push to improve pain management, the medical community began considering pain a fifth vital sign, along with body temperature, pulse rate, respiration rate and blood pressure. The prescription drug OxyContin debuted in 1996 and was marketed as less addictive than other opioids. Research that has since been discredited asserted that patients in severe pain had a low tendency to become addicted to opioids. Experts say that certain populations are particularly at risk for becoming addicted to opioids, including individuals who have a history of trauma, mental illness or other substance abuse. Medical professionals such as doctors, nurses, dentists and veterinarians are at increased risk because they have easy access to opioids through their work. Those in the military are also at greater risk because they are so often treated for pain. As Smith points out, opioids are particularly addictive because of the effect they have on a person’s mind and body. “We are all biologically vulnerable,” she says. Opioids attach to opioid receptors in the body to reduce the sensation to pain. As they do this, they cause physical changes in the body’s own opioid system. 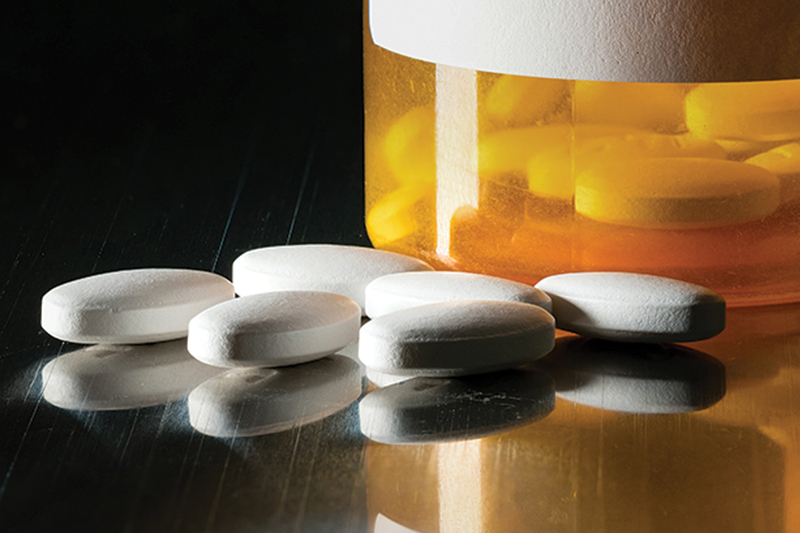 Over time, the body may become physically dependent on opioids. Even a weeklong prescription for opioids can cause withdrawal at cessation. In addition, opioids affect the brain’s reward system and can cause a feeling of euphoria. This combination of effects means that long-term use is itself a risk factor for physical dependence and addiction. A study reported in the March 17 issue of the CDC’s Morbidity and Mortality Weekly Report found that in patients prescribed opioids for the first time, the likelihood of them still being on the opioid within a year’s time increased after just six days of use and then again at 31 days. Unfortunately, Smith Says, doctors and dentists commonly prescribe 30-, 60- or 90-day supplies of opioids to help patients alleviate instances of even short-term pain, such as the removal of wisdom teeth. Some people who become addicted while on painkillers turn to heroin once their prescription runs out or when other opioids become too expensive, says ACA member Kevin Doyle, an LPC who has a private practice that specializes in group work for clients who have substance use disorders. It is becoming more common for heroin to be mixed with fentanyl, which is a much stronger opioid. Frequently, he notes, users either don’t know about the fentanyl or misjudge the dose and end up overdosing. There is a common misconception, not just on the part of the average person but also by many health professionals, that “getting sober” (clearing the body of the addictive substance) and recovery are the same thing. Nothing could be further from the truth, say substance abuse experts. All of the counseling professionals interviewed for this article say that the standard for addiction treatment for both inpatient and outpatient programs is typically 30 days to get biologically clean. Clients are then sent back into their home environments, where they can easily become addicted again in the absence of follow-up support. Smith adds that addiction is most often treated like an acute disease when it is actually a chronic one, and the challenges don’t just stem from staying off the substance. The cost of not seeking help for addiction is high, and the opioid epidemic has been particularly devastating. ACA member Rick Carroll, a counselor who helped develop the substance abuse certification program at Lindsey Wilson College, has seen many people lose everything to opioids. And like a bomb blast, the destruction from addiction is not limited to the person hooked on opioids — it spreads outward. In fact, the fallout from opioid abuse is what spurred the state of Kentucky, where the main campus of Lindsey Wilson College is located, to fund Carroll’s certification program. Currently, 1 in 4 babies born in Kentucky is diagnosed with neonatal abstinence syndrome — a range of physical problems that result from being exposed to opioids in the womb. The babies and mothers receive any needed addiction treatment and health care at the hospital, but there is also a need for clinicians who can help mothers cope with bonding and other family issues while undergoing detox. Carroll also does parental assessments in Virginia for social services and the local court system. He sees many parents who have lost their children to foster care because of opioid abuse and estimates that a third of these clients will never regain custody of their children. Many problems associated with addiction cannot be addressed with a 30-day program because recovery involves rebuilding a life, say the counselors interviewed for this article. In many instances, these clients have a lot to “relearn,” Carroll says. People often take substances such as opioids as a way to cope, so counselors can help these clients by teaching them healthy coping skills, Carroll says. This starts by teaching them to be mindful and pay attention to their emotions, particularly becoming aware of when they are experiencing negative emotions such as anxiety and depression. Journaling can be helpful as a kind of daily log of thoughts and feelings, says Carroll, adding that some clients feel more connected to their emotions when they write them down. As clients learn to be mindful of their emotions, they also need to be presented with new ways to cope, Carroll says. Among the tools he shares with clients are relaxation techniques and systematic desensitization. Carroll says that counselors should talk to clients about the events and everyday situations that are most stressful for them and have them practice breathing and other relaxation techniques that they can continue to use on their own. Counselors can also teach clients how to better deal with conflict through role-play and empty chair exercises, he says. People who struggle with addiction are also often dealing with significant cognitive distortions, such as thinking that they are damaged goods, Carroll explains. Counselors can help clients examine these beliefs to see either that the beliefs aren’t valid or to clearly identify problems that clients can work on. It is also important for counselors to understand the dynamics of these clients’ family systems, Carroll says. In some cases, family relationships have been broken or the client’s family members are struggling with addiction themselves. In either case, the client is faced with a lack of support and a potentially triggering environment, he says. Carroll advises the use of genograms to explore family dynamics, looking in particular for toxic relationships or indications of a multigenerational history of substance abuse or mental illness. Through the use of genograms, “clients can see the roots [of their difficulties] and ask, ‘What can I create in my life right now to break the cycle?’” Carroll says. Ashley, who also specializes in combat trauma, says that clients struggling against addiction also need to learn different ways to alter their consciousness and feel good. “People who have been addicted for a long time don’t know how to have fun,” he says. Ashley advises asking these clients about the activities that they used to enjoy and encouraging them to find or rediscover hobbies because they need alternatives to getting high. Ashley says clients also need to develop a plan to stay sober. These plans address elements such as how to stay away from situations or people that trigger or encourage substance use and abuse, how to handle stress and other emotions without opioids or other drugs, what to do when the urge to use strikes and how to occupy the time that previously went to scoring and taking drugs. Although counselors can assist clients with these plans, Ashley says it is equally important that they help clients find additional support through avenues such as group therapy, 12-step support meetings and other treatment programs if necessary. Counselors can serve as a vital source of support for clients in recovery, but many practitioners have little or no training in addictions work. Bowden firmly believes that counselors need intensive training to work with those struggling with addictions. Smith asserts that the grip of the opioid epidemic is so strong that all counselors must learn how to work with these clients. Likewise, counselors who specialize in substance abuse issues note that all practitioners will encounter clients who are struggling with addiction, even if addiction isn’t the presenting issue. Smith adds that clients may not reveal substance abuse problems right away, meaning that by the time the subject of addiction comes up, a therapeutic bond likely will have been established already with the counselor. That is not to suggest, however, that the proper training isn’t important. 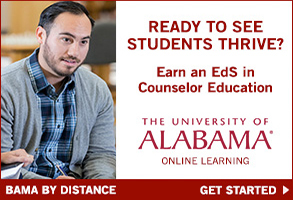 Counselors should seek out additional courses on addictions work, either locally or online. Bowden and Ashley urge counselors to undergo supervision and to find a specialist with whom they can work. Counselors can also get involved with professional organizations such as the International Association of Addictions & Offender Counselors, a division of ACA. 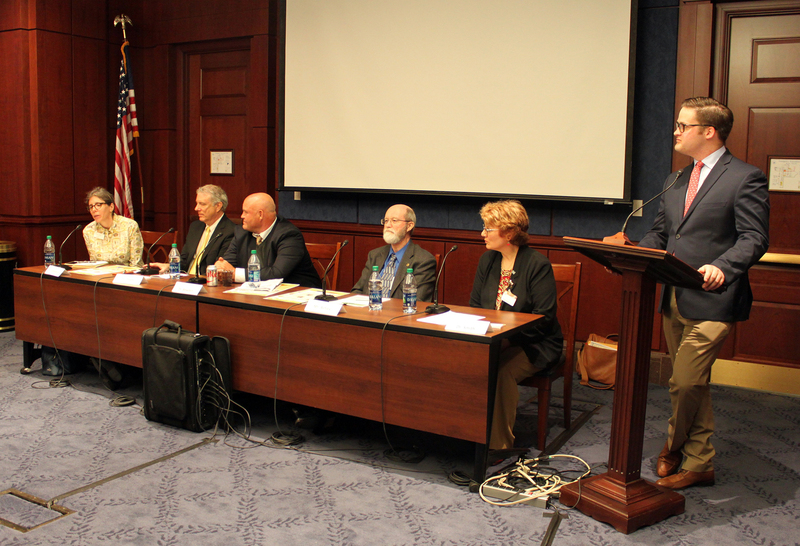 Larry Ashley, Kirk Bowden, Kevin Doyle and Carol Smith each served as panelists (along with Dr. Melinda Campopiano of the federal Substance Abuse and Mental Health Services Administration) at the congressional briefing on opioid abuse in April that was sponsored by ACA. For a report on that briefing, read the online exclusive, “‘We’re in danger of losing a generation,’” by Bethany Bray at CT Online (ct.counseling.org). People with common medical disorders who visit their primary care physicians have high rates of behavioral health concerns, including diabetes, chronic pain, obesity, sleep disorders and heart disease. Obesity is one of the biggest drivers of preventable chronic diseases and health care costs in the United States. Currently, estimates for these costs range from $147 billion to nearly $210 billion per year. The annual cost of chronic pain is estimated to be as high as $635 billion a year, which is more than the yearly costs for cancer, heart disease and diabetes. Clearly, there are far more serious outcomes and higher health care costs if these problems aren’t addressed in a unified way. This is where counselors can play a very important role. Consider the following scenario. Alfonso is 5 feet 10 inches tall and weighs 310 pounds. This equates to a body mass index (BMI) of 44.5 (a BMI of 30 or greater is considered obese). He ingests a large amount of fast food each day. Alfonso previously worked in construction but noticed that even with his active job, he was frequently “dog-tired” all day long and felt like he would “just love to sleep.” His average total sleep time is four to five hours per night. About three years ago, Alfonso fell on his job site and injured his lower back. He has had several back surgeries but claims that they “didn’t help at all.” He reports still feeling moderate to severe pain every day. He is currently taking oxycodone, an opioid pain medication, at 15 milligrams every six hours and is on long-term disability. Alfonso has no hobbies or interests, and because he is not currently working, he spends most of each day watching television and drinking beer. By his estimate, he drinks “six to eight beers a day.” He is not a smoker and says that he does not use other drugs. During your initial interview with Alfonso, he appears very tired and generally unmotivated for treatment. He asks, “Why am I seeing a counselor and not a real doctor?” He appears to have average intelligence but very little insight into how his health problems may be affecting his depression and his life in general. He feels very little control over his health and thinks that he just needs “some new medicine” to help him. If you see clients privately or at any facility, you are bound to encounter people with stories similar to Alfonso’s. Although his scenario may seem exaggerated, the reality is that behavioral health problems often have a substantial impact on clients. Consider the following facts and figures. Sleep: According to the National Sleep Foundation’s inaugural Sleep Health Index, 45 percent of Americans report disrupted sleep patterns that have negatively affected their daily life over the past seven days. Some of the study’s biggest takeaways: Among 74,571 adult respondents in 12 states, 35.3 percent (more than 26,000 people) reported getting less than seven hours of sleep during a typical 24-hour period; more than 35,000 reported that they snored; and almost 29,000 reported falling asleep during the day at least once over the past month. More than 3,500 respondents acknowledged either drifting off or falling asleep while driving. According to Harvard Medical School, chronic sleep problems affect 50 to 80 percent of patients in a typical psychiatric practice and are particularly common in patients with anxiety, depression, bipolar disorder and attention-deficit/hyperactivity disorder. Chronic sleep problems may raise the risk for, and even directly contribute to, the development of some psychiatric disorders. Pain: Nearly 50 million American adults have significant chronic pain or severe pain, according to The Journal of Pain. New research suggests that people who have chronic pain are also more likely to suffer from problems such as depression, anxiety, lack of sleep and trouble focusing. Obesity is frequently accompanied by depression. In fact, the two can trigger and influence each other. Although women are only slightly more at risk than men for being obese, they are much more vulnerable to the obesity-depression cycle. In one study, obesity in women was associated with a 37 percent increase in major depression, according to the American Psychological Association. There is also a strong relationship between obesity in women and more frequent thoughts of suicide. For more information on this research, see cdc.gov/nchs/products/databriefs/db167.htm. Given the findings in each of these areas, it is vitally important for counselors to have the tools available to help their clients thrive. Returning to the scenario of Alfonso, we will see how integrated behavioral health care can bring more clarity to his situation. 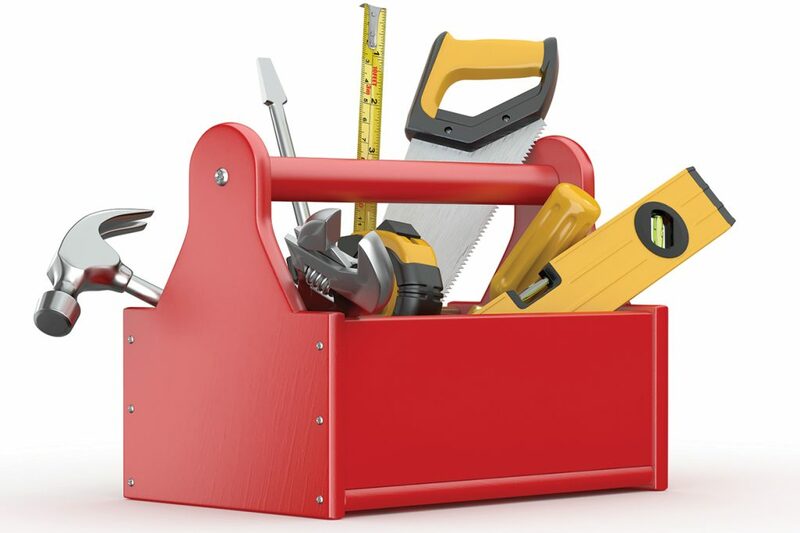 This is my toolbox of practices that I have found most useful with clients. Motivational interviewing: Motivational interviewing is loosely defined by the Motivational Interviewing Network of Trainers as “a particular kind of conversation about change.” It refers to a counseling approach developed in part by clinical psychologists William R. Miller and Stephen Rollnick. Motivational interviewing is nonjudgmental, nonconfrontational and nonadversarial. For integrated care, this style of interviewing has many benefits, including instilling hope, confidence and action in our clients. It empowers clients to take a more active role in their health, far removed from the passivity that the usual “doctor’s advice” elicits. 1) Motivation to change is elicited from the client and is not imposed from outside forces. 2) It is the client’s task, not the counselor’s, to articulate and resolve the client’s ambivalence. 3) Direct persuasion is not an effective method for resolving ambivalence. 5) The counselor is directive in that he or she helps the client to examine and resolve ambivalence. 6) Readiness to change is not a trait of the client but rather a fluctuating result of interpersonal interaction. 7) The therapeutic relationship resembles a partnership or companionship. 1) Engaging: Used to involve clients in talking about issues, concerns and hopes, and to establish a trusting relationship with the counselor. 2) Focusing: Used to narrow the conversation to habits or patterns that clients want to change. 3) Evoking: Used to elicit client motivation for change by increasing clients’ sense of the importance of change, their confidence about change and their readiness to change. 4) Planning: Used to develop the practical steps that clients want to use to implement the changes they desire. 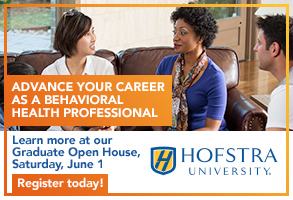 For more information, go to motivationalinterviewing.org. The role of self-monitoring: Self-monitoring is an important technique in all of the areas this article discusses because it a) gives clients the responsibility to actively observe and record their behavior, b) makes clients more aware of the effects of interventions on the variable being monitored and c) puts clients more in control. There is strong research evidence that the mere act of self-monitoring and recording can significantly change behavior. In my practice, I always find something for the client to track (behaviors, thoughts or emotions) on a regular basis. As is the case with motivational interviewing, this gives more of the responsibility for behavior change to the client. Measuring self-efficacy: Albert Bandura’s concept of self-efficacy can be applied quite well to clients who need to focus on changing some important aspects of their behavior, including exercise, smoking, alcohol use, sleep management and behavior changes, to reduce pain. Self-efficacy refers to the degree to which a person feels confident, effective and successful in managing his or her health or life. 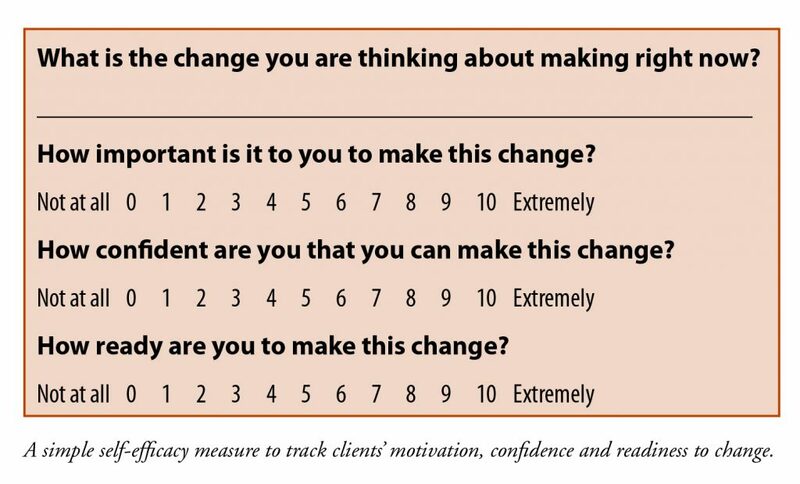 My contention is that motivational interviewing should increase a client’s self-efficacy, so I often use the simple measure shown below (in the box below) to track the client’s motivation, confidence and readiness to change. I frequently request that the client fill this out on a daily basis for two weeks. Results from this scale can provide a realistic benchmark of client progress and can be shared with other members of the behavioral health care team. Sleep problems are often the most common symptoms that clients discuss with their primary care physicians. Optimal sleep duration for adults of all ages is 7.5 to 8.5 hours per night. Adolescents need a bit more and older adults a bit less. The average American adult gets only about six hours of sleep per night. Poor sleep can be a result of any combination of physical conditions, psychological disorders, work shift changes or poor sleep habits. People who are sleep deprived may have profound daytime sleepiness and often fall asleep immediately when they go to bed. Alfonso’s view: We already know that Alfonso estimates his sleep at four to five hours per night. He admits to profound daytime sleepiness and feels “tired all the time.” He doesn’t understand the causes of his poor sleep. Assessment for Alfonso: Many clients presenting with depressive or anxiety disorders have coexisting sleep issues that can easily make their symptoms worse. Alfonso might have insomnia, partly because of his depression or pain, or he might have obstructive sleep apnea (OSA), which is often related to being overweight or obese. In fact, sleep apnea has been observed in as many as 95 percent of obese males. A complete sleep study should be performed for Alfonso. I always ensure that clients are screened for OSA prior to further intervention. If no OSA is present, it is important to ask these clients a few general questions about their sleep patterns, such as how long they sleep on the average night, whether they feel rested during the day and if they are concerned about sleep. Sleep problems are not that obvious, so it is always important to ask about them, especially during your initial evaluation with clients. Sleep problems can be either a cause or an effect of other biopsychosocial conditions. Potential interventions: After obtaining Alfonso’s data for a week or more, go over it with him, paying particular attention to challenging areas. The most important part of this intervention is to educate Alfonso regarding some rules of healthy sleep, including continuing to self-monitor his sleep, reducing his caffeine and alcohol use, maintaining a regular sleep schedule, increasing his physical activity (especially later in the day), controlling his sleep environment and taking some time to “unwind” his brain in the evening. In addition, the most popular evidence-based intervention for this issue is cognitive behavior therapy for insomnia (for more information, see sleepfoundation.org/sleep-news/cognitive-behavioral-therapy-insomnia). It can sometimes be difficult to identify if clients are having sleep problems, but clients with chronic pain are usually much more forthcoming and their issues with pain are obvious. Acute pain is a normal sensation triggered in the nervous system to alert you to possible injury and the need to take care of yourself, but chronic pain is different. Chronic pain persists — pain signals keep firing in the nervous system for weeks, months or even years. This kind of pain often continues well after the normal healing time for any injury or tissue damage that might have occurred. Chronic pain can be mild or excruciating, episodic or continuous, merely inconvenient or totally incapacitating. The clients we see as counselors are much more likely to have chronic pain. Research suggests that 40 to 50 percent of chronic pain clients suffer from depressive disorders. It is suffering, not pain, that brings patients into doctor’s offices in hopes of finding relief. Chronic pain is far more than a sensory process, however, so we must maintain the biopsychosocial model of chronic pain if we are to provide effective health care to our patients and clients. Pain behaviors may communicate to others that a person is experiencing pain. These behaviors include resting, shifting positions, guarding, grimacing, asking for help, taking medication and other observable behaviors. As Loeser has pointed out, every client with chronic pain may be unique in his or her presentation. For instance, many chronic pain sufferers demonstrate pain behaviors without having any physical findings of tissue damage. There are also many cases of people who show pain and suffering without nociception (for example, phantom limb pain). In the case of chronic pain, many studies have shown that gradual increases in physical activity can actually improve a person’s functioning and reduce his or her pain. Assessment for Alfonso: Because it sounds like Alfonso has chronic benign pain, it is important to observe him closely as you talk with him. Does he grimace, shift positions, guard parts of his body or look uncomfortable? Have Alfonso self-monitor his daily pain levels over the next week or two. Does he show variations in that level at different times of the day or during various activities? You might also have Alfonso assess his level of self-efficacy. A high level of self-efficacy is beneficial when people are confronted with acute or chronic pain. One reason for this is that individuals who are highly self-efficacious may be more motivated to engage in health-promoting behaviors and adhere better to treatment recommendations because they have higher expectations of performance success. They are also less likely to give up an activity when facing barriers (e.g., pain), which may prevent them from becoming trapped in the negative spiral of activity avoidance, physical deconditioning, loss of social support and depression. Finally, perceived self-efficacy can positively affect the body’s opioid and immune systems. Potential interventions: Given that Alfonso received no benefit from surgery and is stuck on fairly high doses of opioid pain medications, you might consider several options for psychosocial interventions. Weight loss often helps people with pain, so this might be an early goal. You might suggest a strategy to help Alfonso slowly increase his physical activity, perhaps including use of a wearable activity monitor. You could also work with his pain physician to develop a schedule of gradual “fading” or reduction of Alfonso’s opioid drugs, accompanied by training Alfonso in muscle relaxation, imagery and cognitive behavioral strategies for pain reduction. You can assist the health care team by suggesting nonmedical approaches. Obesity may be the most important focus of attention in Alfonso’s complex case. We have seen that obesity affects sleep dramatically, and extra weight only makes pain problems worse. Given that all three of these problems contribute directly to depression, it is important to select one issue for intervention. Alfonso’s view: Alfonso shows little concern about his weight, claiming that he comes from a “fat family.” His sedentary habits and consumption of fast food and beer can be important targets here. Assessment for Alfonso: Asking Alfonso to keep a journal of his eating and exercise patterns would be a reasonable starting point. Weekly monitoring of weight is also important. Potential interventions: Motivational interviewing is a very powerful tool for discussing areas of change. In Alfonso’s case, this might include taking small steps toward healthier eating and increasing his level of exercise. Because of Alfonso’s isolation, simply developing a helping relationship with him may be beneficial in and of itself. Clients who present with primary psychological problems and issues often have underlying behavioral health problems that may have an effect on their psychological functioning. 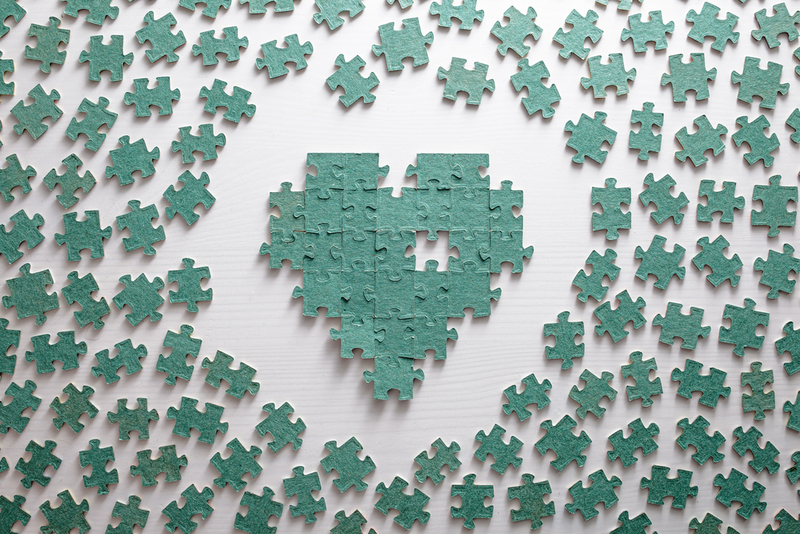 Using the biopsychosocial model, it is possible to identify those problems and offer focused counseling that involves motivational interviewing, client self-monitoring and assessment of self-efficacy. In Alfonso’s case, there were many areas of concern — obesity, sleep problems, pain, social isolation and alcohol/drug misuse — that could be improved through counseling. Regardless of the complexity of the case, these areas are always worth exploring carefully. David Engstrom is a board-certified health psychologist in Scottsdale, Arizona. He trained and supervised counselors and counseling psychologists for 20 years at the University of California, Irvine. Currently, he is a full-time core faculty member in counseling at the University of Phoenix, where he teaches integrative health care, motivational interviewing and mindfulness meditation techniques to counseling students. Contact him at drengstrom@email.phoenix.edu. When a person is prescribed medicine by a doctor, the common assumption is that it’s best to take the dosage until it’s gone. In most cases, that’s true. But with opioids, a class of powerful, addictive and frequently prescribed pain relievers, dependence on the drug can begin within five days. Yet doctors often prescribe a 30-day supply, said Carol Smith, a licensed professional counselor (LPC) who spoke at an April 4 congressional briefing on Capitol Hill that was sponsored by the American Counseling Association. “By the end of the 30 days, [the opioid] is not addressing their pain anymore. It’s a vicious, vicious cycle,” said Smith, a professor of counseling at Marshall University in West Virginia and past president of the West Virginia Counseling Association. Smith, a member of ACA, was speaking as part of a panel that focused on the realities of America’s opioid epidemic and how professional counselors are well-suited to help change that trajectory. The opioid class includes heroin as well as prescription pain relievers such as oxycodone, Vicodin and morphine. On average, 91 people across the U.S. die every day from opioid overdoses, according the U.S. Centers for Disease Control and Prevention. The amount of prescription opioids sold in the U.S. has nearly quadrupled since 1999; deaths from prescription opioids have more than quadrupled since 1999. 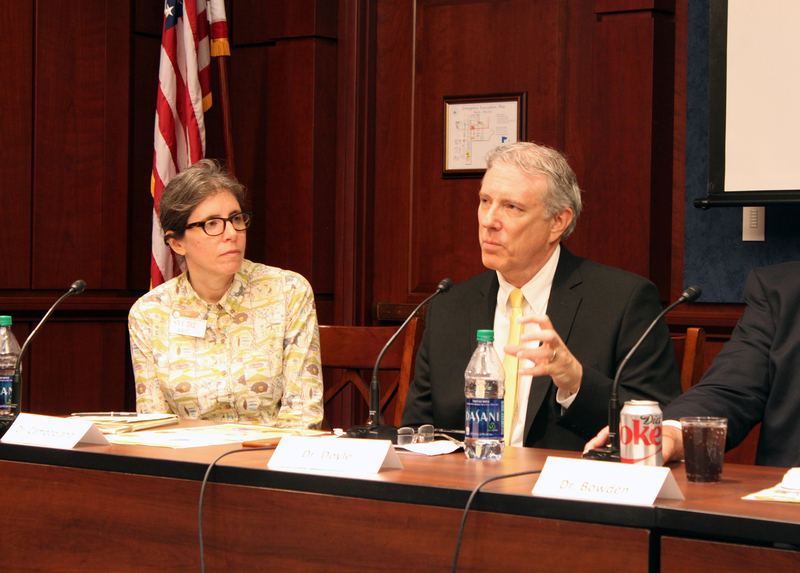 In the U.S., more than 650,000 opioid prescriptions are dispensed every day, said panelist and ACA member Kirk Bowden, an LPC who chairs the addiction and substance use disorder program at Rio Salado College in Arizona. Opioids should be for acute, not chronic, pain, Bowden said. He also stressed the need for more training for medical professionals on the dangers of dispensing opioids. For example, patients who have had oral surgery to remove their wisdom teeth are commonly prescribed a 30-day supply of opioids, when in most cases the drugs are only needed for a few days of pain relief, Bowden said. Patients then leave the remaining pills in their medicine cabinets, easily accessible to anyone in the household. “We’re in danger of losing a generation,” said Smith, who lives in West Virginia, a state with one of the highest opioid overdose rates in the U.S.
“As [Bowden] succinctly put it, we need to remember that this issue is not a singular crisis but a chronic problem that demands that we marshal all available resources to combat,” said Art Terrazas, ACA’s director of government affairs. Panelists told congressional staff members attending the ACA-sponsored briefing that solutions need to include more addictions training for medical professionals, better access to care and support programs for people struggling with opioid addiction, and the inclusion of professional counselors in response efforts to the opioid crisis. Kevin Doyle, LPC and professor of counselor education at Longwood University in Virginia speaks as Dr. Melinda Campopiano of the U.S. Substance Abuse and Mental Health Services Administration (SAMHSA) looks on. Counselors use a strengths-based approach and work to address the underlying reasons, such as past trauma, that individuals may turn to opioids to self-medicate, Smith explained. 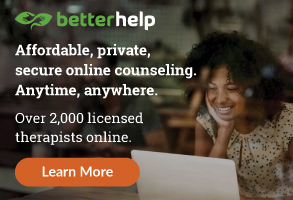 Counselors are uniquely skilled to support clients in their recovery goals – and in their possible relapses, Doyle added. Dillon Harp of ACA’s Government Affairs team (far right) moderates the panel, from left to right Dr. Melinda Campopiano, Kevin Doyle, Kirk Bowden, Larry Ashley and Carol Smith. 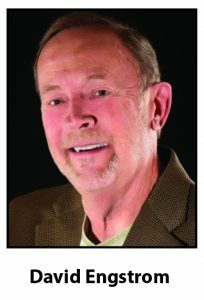 Larry Ashley is a licensed professional counselor (LPC), licensed master social worker (LMSW) and professor emeritus of counseling at the University of Nevada, Las Vegas and addiction specialist at the University of Nevada, Reno School of Medicine. A U.S. Army veteran, he specializes in the treatment of military clients and issues related to combat trauma. Kirk Bowden, an LPC and ACA fellow, is past president of NAADAC, the Association for Addiction Professionals, chair of the addiction and substance use disorder program at Rio Salado College, and consultant and subject matter expert for Ottawa University. Dr. Melinda Campopiano is a physician and the chief medical officer of the Center for Substance Abuse Treatment at the Substance Abuse and Mental Health Services Administration. She is board-certified in family medicine and addiction medicine. Kevin Doyle, LPC, is a professor in the counselor education program at Longwood University and chair of the department of education and special education. He has served three terms on the Virginia Board of Counseling and runs a private practice in Charlottesville, Virginia. Carol Smith, LPC, is a professor of counseling at Marshall University and coordinates Marshall’s Violence, Loss and Trauma Certificate of Advanced Studies program. She is past president of the West Virginia Counseling Association, a branch of ACA.